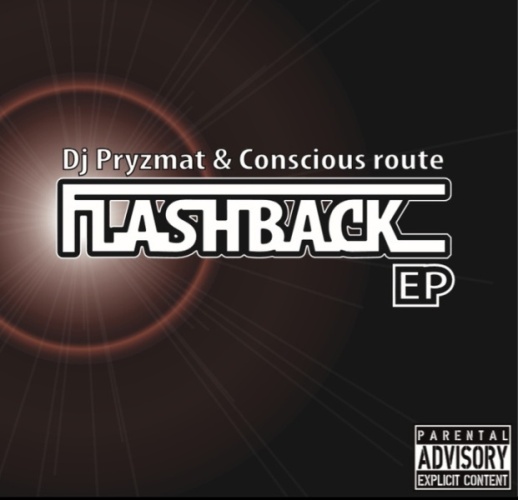 Conscious Route has come together with DJ Pryzmat to bring you the ‘Flashback E.P’. These artists first joined forces back in 2012 with a brief collaboration on DJ Pryzmat’s compilation CD. The 6-track Flashback E.P. is filled with a mix of current and classic 90’s style hip-hop bound together with conscious flows and crisp breaks. The beats were created mainly on MPC to keep the raw edge alongside the synth-lines and samples which have become a strong signature of DJ Pryzmat’s sound.